AUDITIONS for Greensboro Ballet's 2018 "The Nutcracker"
What do I need to do in order for my child to Audition for The Nutcracker? 1. 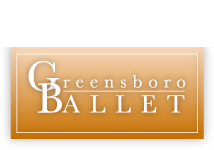 Download Greensboro Ballet's Nutcracker Rules & Regulations HERE. Read very, very carefully. Both dancer and parent must sign this document and bring with them to the Audition. Please fill out our Dancer Measurement Form (click HERE) and bring it with you, as well. 3. Bring your signed form and dancer to the Nutcracker Auditions on Saturday, September 29th. Also, your Nutcracker Costume Fee ($60) is due at the time of audition, as well. If your dancer is not cast, we will give you a full refund. 1:15-2:45 pm Company Trainees/Apprentices, Adv. Int. Ballet students with 6+ years of ballet training. 3:00-4:00 pm Elem Ballet 2 & 3 or Ballet students with at least 1 year of classical ballet training. 3:00-4:00 pm BOYS, BOYS, BOYS, ages 6-13 (with little or no dance training). 4:00-5:00 pm Int. Ballet 1, 2 & 3 or Ballet students with at least 3+ years of classical ballet training. NOTE: This year's performances of The Nutcracker will take place December 8th & 9th, 15th & 16th at the Carolina Theatre in downtown Greensboro.